AH HA HA HA HA HA HA. Tidus' forced laughter in Final Fantasy 10 is a scene that will forever live in franchise history, right alongside the death of Aerith and the rise of Kefka. But why let the fun end there? 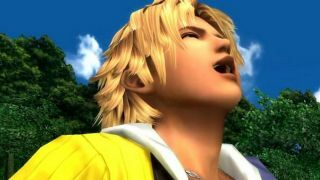 YouTube user Johnny Mac has remixed the entire FFX soundtrack to feature our blond hero's autotuned laughter so you can make every moment of the classic game a profoundly uncomfortable one. Alright, Yuna's Theme is pretty great. But if this is how the week is gonna start, I have a feeling we're in for a weird one.